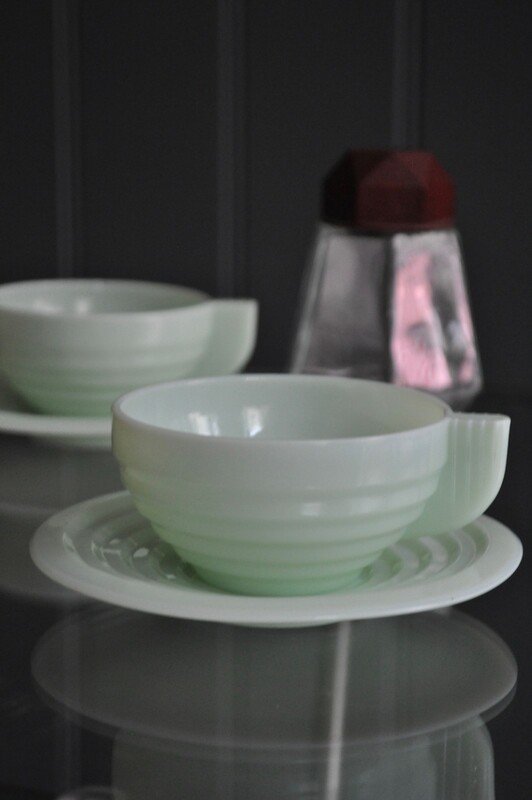 A pair of stylish French coffee cups in a milky green glass. Price is for the pair. Furniture dealer Ben Southgate sells a wide range of antique and vintage furniture from his shop at the Columbia Road Flower Market in London's East End and from Wed-Sat at his shop in St Leonards on Sea in East Sussex. He specialises in handsome storage and display pieces, leather sofas and armchairs, as well as an eclectic array of lighting, toys and collectables. The business was established in March 2003, and both shops have developed a strong following over the years with the London one being listed in Time Out London's Best 500 Shops. 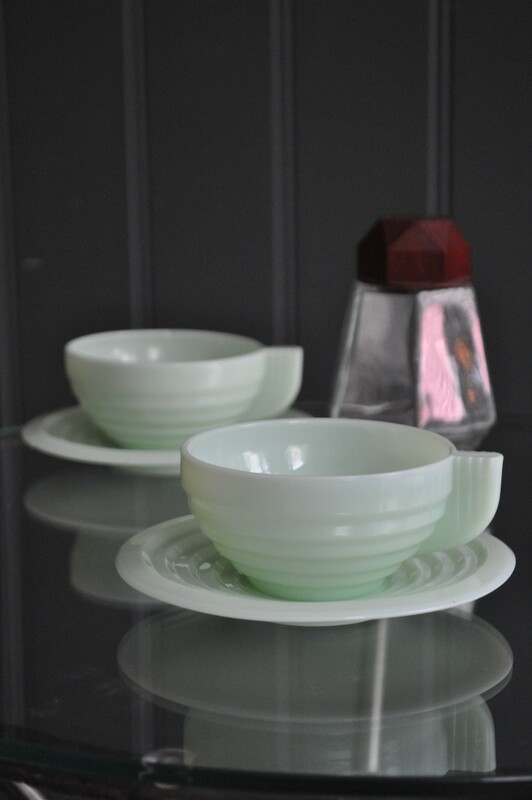 Ben Southgate is also listed in Eat Shop London and the London Design Guide (2013/2014). The London shop is open Sundays 9am-4pm only, but please Ben if you are making a special trip out to either one so he can make sure that he'll be there when you want to visit. Ben spent over a decade restoring furniture in a London workshop before deciding to set up his own business. The stock at Ben Southgate varies tremendously from week to week. Alongside one-off cabinets, tables and chairs are models that Ben buys on a regular basis, such as the large medical cabinets, leather armchairs and Jielde lamps. There is always new stock and pieces rarely stick around for long. If you like the look of something that has sold, there is every chance that a similar piece can be found.